50′ high, single or multi-stemmed slender tree. 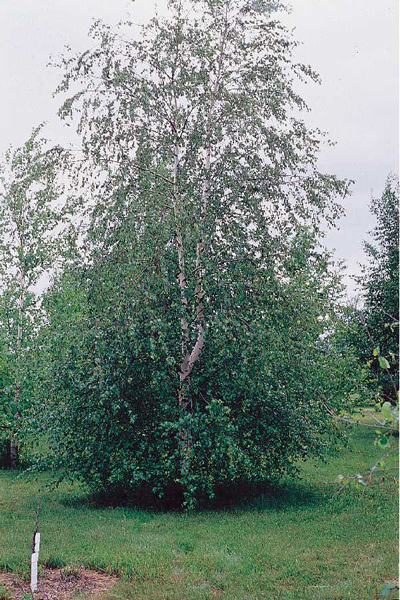 Native birch has white bark that will appear after 3 to 4 years. This tree will grow well in moist soils.